While everyone was writing their part of farewell to 2010, I didn’t knew what I should write about it. There been a lot of things that I could have written about in this farewell post, a lot of things that happened in the year, a lot of feelings that I gone through, really a lot .. has happened to make the same year a memorable or probably one of the most crucial one for me. Let’s go through the flashback ..
We all wish to share our opinions with the world and the explosion of social media is just a mere proof of the same. As I discussed earlier, the blog started long back in 2006 with the name https://nitishkumar.wordpress.com and was focused on Indian Idol reviews in its first stages. That was a nice start to it but as the series was not regular one, so it was never going to have a regular following, neither my own interest. Later I wrote some movie reviews and they were very well taken across, but still the blog was nowhere like today. I was getting like 300-500 hits per month. It would be a surprise to many of you, but Layman’s take on Technology got its current place totally by the last year 2010 only. The first article over mobile ever was the one, I wrote about Nokia 5800 and that was February 11, 2010. Didn’t knew that people will like it and WOM people, whom I didn’t knew till then will pick it, but … since then blog never looked back. From 50-100 hits per day in January 2010, it reached around 1000 hits daily and the total number of hits for 2010 alone were 1,33,200. A small number it might be, in comparison to that of big bloggers, but the last year indeed became the birth year for the blog and it was only month of May 2010, when I taken the domain name http://nitishkumar.net. 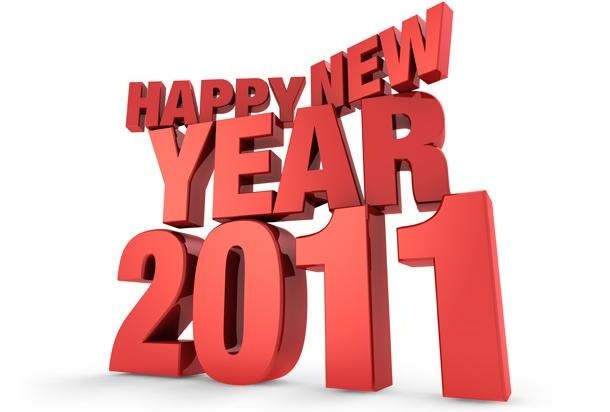 Definitely looking very positively for the year 2011 as many new things to be unfolded. Today I might have more than 21000 tweets, but it was only November 2009, when I first joined twitter, may be because wordpress had an option to send the blog links there. Didn’t understood the concept in start, I would say neither I was a regular blogger or that ‘social’. Like the blog, it was also a cold start for twitter as well. I was like tweeting once a while in weeks and then it went daily and I should say that tweeting started for real only when I came to know Gravity and since then it was a never stopping journey. This was again the year 2010, when I started from around 1 tweet/day and went to almost 500 (rough average for day in last six months been 88 per day). Remarkable journey that could have a complete post on it, so many new friends, so many new moments … it was a start for new life. Always been a Orkut person than Facebook one, but with some of the colleague pushing me into Farmwille came to change it by this year only. Though got bored later on and left the game but Facebook stayed on. Probably as a blogger Facebook was a much better exposure than Orkut. Not sure how to recollect memories of the year 2010 that will always remain as one of the most crucial years of my life. Lots of things changed, lots of things I learned, lots of words, I got to know meaning of them by 2010 only. So just this much for now… looking for a lot more by this year. Thanks to Womworld, thanks to all the readers and amazing friends because without you all, I was not here writing all this.